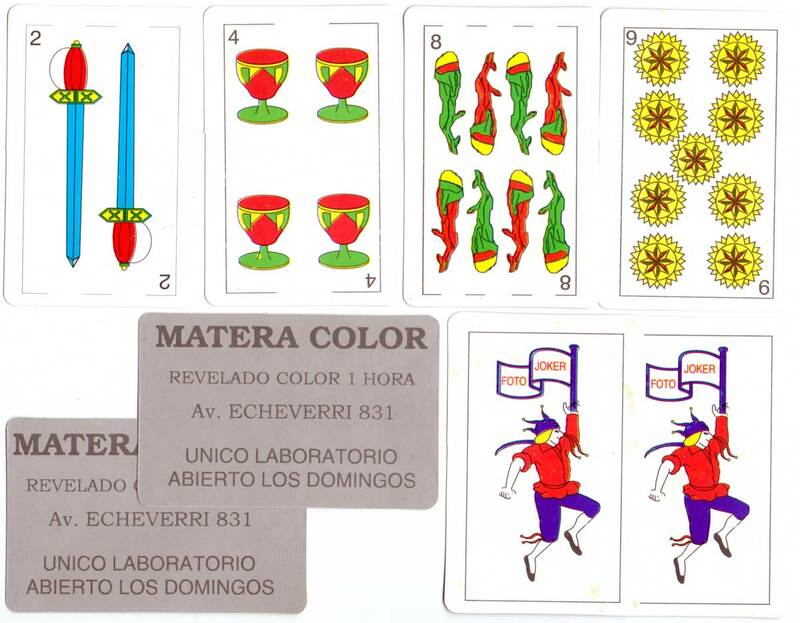 'Foto Joker' Spanish playing cards for Matera Color Laboratory, 2008. 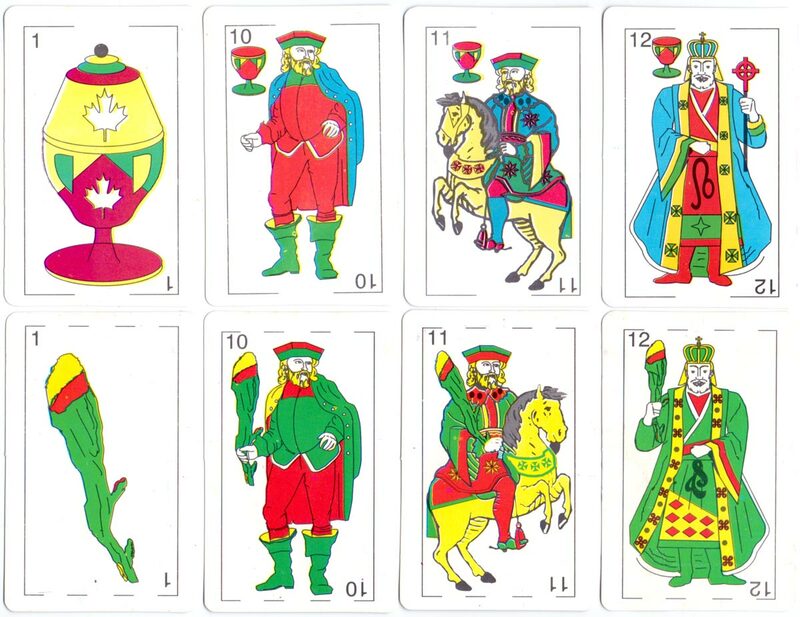 The court card designs are repeated in each suit with variations in the decorations and colours. The ace of coins shows the Argentine flag above a castle. 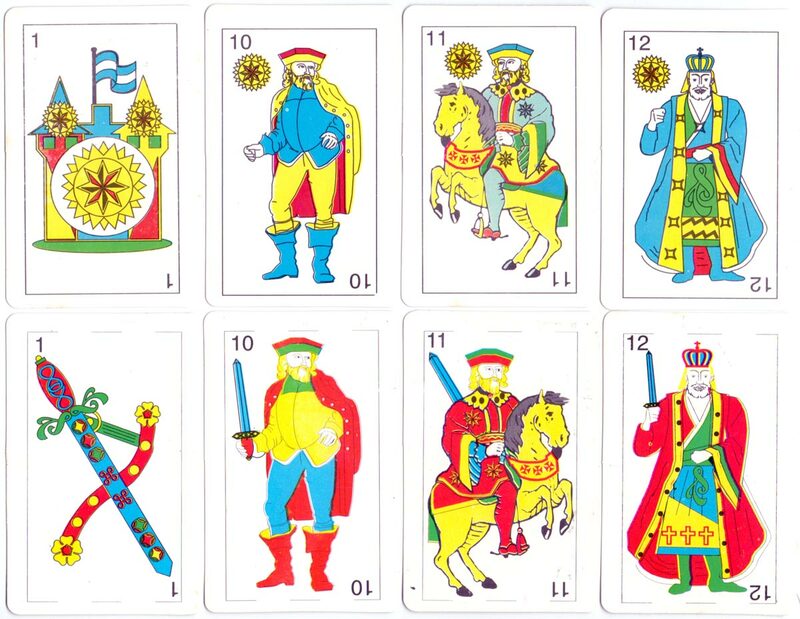 Above: 'Foto Joker' Spanish playing cards for Matera Color Laboratory, 2008. 48 cards + 2 jokers in box. The reverse has an advertisement in black lettering on silver background.